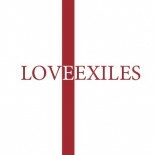 Love exiles around the world were active for more than a decade to make the change in US law to allow us to immigrate with our partners. It was a challenging time – for some heartbreaking as they struggled to keep their families intact. – connected with change makers, such as Edith Windsor, who supported our cause.